A perfect unique keepsake to mark this once in a life time occasion. 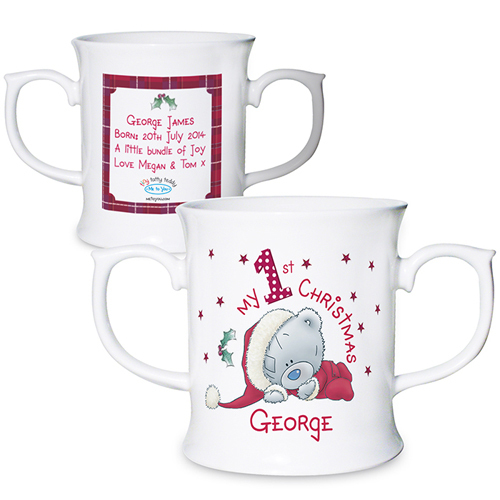 Personalise this 'Me To You' My 1st Christmas Loving Mug with a name up to 12 characters on the front and a message to the back over 4 lines of 25 characters per line. The wording 'My 1st Christmas' will be fixed text on this item. Item material is bone china. Personalise with a name up to 12 characters on the front and a message to the back over 4 lines of 25 characters per line.